Cross Cultural Awareness & International Communication. Barry is a world recognised consultant, writer, seminar leader and public speaker, who specialises in international business culture, communications and cross-cultural interaction. He has worked in over 60 countries worldwide and draws upon a wealth of expertise and commercial insight to help companies drive up their performance. Barry has a degree in African Studies from the School of Oriental and African Studies (University of London), Diploma in International Education from the University of London and an MA in International Liaison & Communication from the University of Westminster. He has taught at the University of Westminster, the London Academy of Diplomacy (University of East Anglia) and he is a lecturer at the Academy of Diplomacy & International Governance, Loughborough University. Barry is the creator and Director of the Business Cultural Trainer’s Certificate. 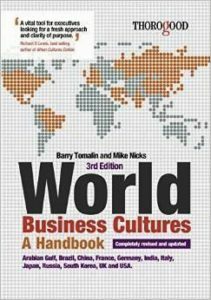 He is a well published author and the third edition of his book, written with Mike Nicks, ‘The World’s Business Cultures and How to Unlock Them’, Thorogood Publishing is available. 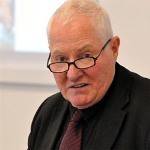 He has also written monographs on the business cultures of France, Germany and Italy (Culture Smart). Barry’s has also written with Brian Hurn, ‘Cross-Cultural Communication Theory & Practice’ (Palgrave Macmillan). Barry has worked for the BBC World Service and the British Council. He provides consultancy and seminar inputs for many leading international companies. He is a well regarded speaker at business focused events and Cross Cultural Communication conferences.